Last week, flying home from visiting my sister in Dallas, I had an entirely new, unpleasant flying experience: tornadoes. Tornadoes are rare where I’m from, and so while I can tell you what to do in the event of an earthquake (we had drills when I was in elementary school — and then again when I started working in a skyscraper in downtown Seattle), the first things that come to mind for me with tornadoes are Joplin, Missouri, and The Wizard of Oz. The day I left, the skies were darkening and rain was definitely on the way as I arrived at the airport to fly home. My sister had warned me that in Dallas the airlines frequently will do their best to get you off the ground ahead of the storm – boarding as quickly as possible and so forth. I am one hundred percent in favor of this plan, so I boarded promptly and was sitting, seatbelt fastened, looking out the window, watching the rain, when I saw lightning. I believe it is against regulation to take off or land when there is lightning in the area, but my sister had told me that these storms come up quickly and breeze right through, usually, not lingering long in any location. 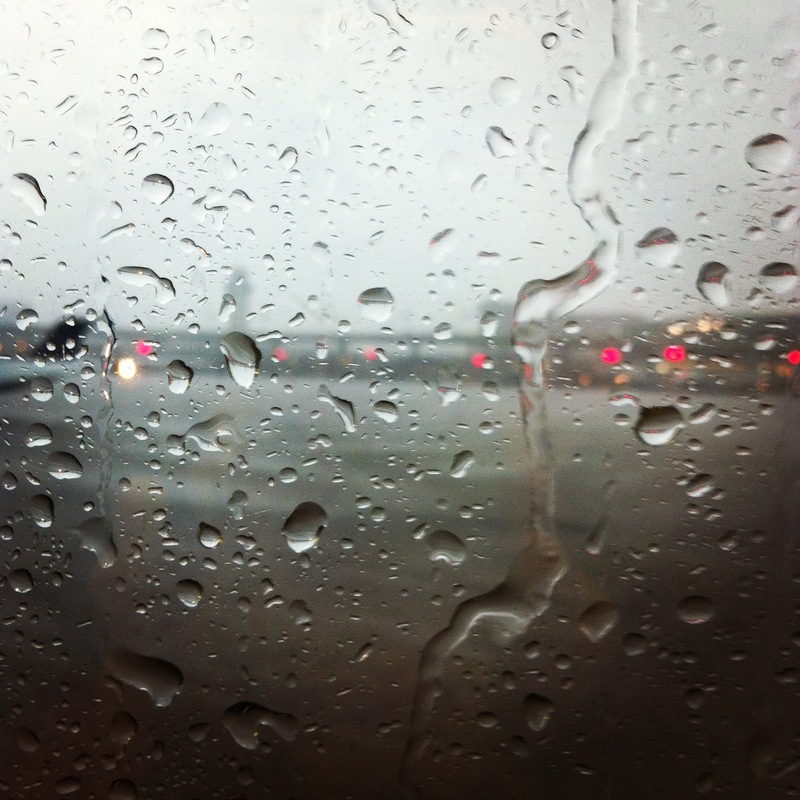 I sat in my window seat in the second-to-last row of the plane, hopefully gazing out the window and waiting for the storm to pass. Deplaning started with the unaccompanied minors. Last week seemed to be spring break for many school districts across the United States, so there were quite a few unaccompanied minors on the plane. Then the general deplaning process began. Deplaning seemed to be taking an unreasonably long length of time; and I don’t think it was just my fear making me more impatient than usual, because soon the flight crew announced, “Please hurry, deplane as quickly as possible; there is a tornado at the airport.” At this point I started to shake a little. I was reminded three times to turn to the Lord, the only real source of comfort I know, in this moment of distress. To my shame, it took all three reminders before I did so. See the works of the Lord, and His wonders in the deep. For He commandeth, and raiseth the stormy wind…Then they cry unto the Lord in their trouble, and He bringeth them out of their distresses. He maketh the storm a calm. This entry was posted in Stories and tagged my Saviour, travel on April 9, 2012 by ms.grammarian. I was just searching around for your email and found this. And this is a lovely post. God is good. All the time.